The Spanish or Castilian language (due to its origins in the Castile region of Spain) is the second most spoken language in the world with over 472 million native speakers and 567 million first or second language speakers. Most notably it’s spoken in Spain and across Central and South American countries (Latin America) which were former Spanish colonies, and more recently in the US due to migration from its southern neighbours. Why is this important for businesses? Well, in terms of global purchasing power, the combined GDP of Spanish speaking countries totals over $6 trillion, with Mexico and Spain alone commanding $1.68 trillion and $1.43 trillion respectively. And the economic purchasing power of these countries is only set to increase, which is why we have seen global corporations like PepsiCo investing over $5 billion into Mexico recently. "Why is market research in Spanish speaking countries important? Their GDP is over $6 trillion"
Any company however, no matter what their size, will face some issues in adapting their market research approach for the Spanish speaking people. I have been working in multi-language research for a number of years now, specialising in Spanish. Based on my experience I have created 10 top tips to help you when addressing participants in Spain, Latin America and the Hispanic regions of the USA. When conducting market research in any foreign country it is important to know the current state of that country. This is even more important should you be researching developing nations, i.e. many Latin America countries. There are two key areas for consideration. Political Status: I am not asking you to embark on a political history lesson here but knowing the country’s political leader, whether they are democratic or communist and whether they are facing a political crisis should all be established ahead of any research initiative. Let’s take Latin America’s Venezuela as example. The ongoing dispute of the Venezuelan population with their government should be understood at the outset of any Venezuelan market research project. As it stands today, project time scales and incentive offerings are most likely to be affected - if the Venezuelan’s are in protest they will not be able to participate in activities at certain times and in such circumstances of such unrest, a basket of basics, i.e. toilet paper, deodorant, etc. will incentivise participation to a much greater degree than an Amazon voucher. Economic Status: Not only in the capital but also in the specific city in which you plan to conduct the research. Economic status changes considerably within a county as well as between countries. But in Latin American countries particularly, you may be surprised at how much it can differ even from one neighbourhood to another, and the remarkable impact this has on purchasing power. Fundamental to the success of online research, the difference in Internet connection speeds in Spanish speaking countries and regions is vast. Be aware of this. If you are conducting online market research in Spain the chances of a good static Internet connection are high but you may experience some difficulties on the go especially when showing stimuli (videos, photos, audio) or requesting audio and visual upload. Only use or request audio and visual in mobile market research studies where necessary and ensure that file sizes are minimised. Look at reflective or live online desktop techniques to complement or fulfil your objectives entirely – showing stimuli and requesting file uploads will not be a problem here. In Latin America, the circumstances are quite different. The Spanish speakers in these countries will only have access to very basic static Internet speeds when they can afford to pay for Internet access at all and their computer software, their browsers may well be outdated. Many Latin Americans tend towards mobile devices over desktop for Internet use so do ensure that any online research initiaves are optimised accordingly. I would advise a target market Internet access feasibility study first however. Internet connection speeds in the USA have come on leaps and bounds in recent years. For Hispanic consumer research in this country, both mobile and online studies will be successful in terms of technological capability. In Western market research practice it is common to ask participants for their current occupation in order to place them into purchasing power brackets. In Latin America, this will not work. The minimum wage is lower, so occupations equivalent to the Western world will not command the same salary. Neither can you ask this population how much they earn directly. It is considered quite offensive. The gap between the social classes in Latin American countries is wide and each class is well populated. You will not find a middle class majority as in many Western cultures. My advice is to look to their homes, both in terms of size and location. Ask how many bedrooms they have for example, how many bathrooms as well as which neighbourhood they live in. Cross referencing this with secondary research in relation to the countries socio-economic situation, you will be able to identify the purchasing power of your participants. If you are looking to conduct online market research with the more mature Spanish speaking age groups, be aware of the technological adoption lag. Whilst this is also the case in the UK, in certain Spanish speaking countries and regions it is much more profound. If you want them to participate in market research Latin American elders will expect you to provide them with feedback methods that they are comfortable with. They do not expect, nor want to learn a new technology in order to take part. You will struggle for responses if you are trying to reach the over 50’s in any Latin American country online. There is a silver lining however in their younger family members. They tend to encourage older counterparts to get involved with technology and support them in doing so. If you are experiencing difficulties, reach out to them. Also consider a face-to-face complement. In Spain and the USA you have more success using online research tools to target the over 50’s but the degree of success very much depends on educational status here. The more educated the older participants in these countries, the harder they will try to learn the technology. This is another area for pre study participant research. When conducting research in any Spanish speaking region or country mistrust is common and is highly likely that participants will withhold their personal data post research. This may be related to the state of insecurity in Latin American countries, or to excessive cold calling in countries like Spain and the USA. "Hispanic and Latino market research participants may withhold profile data"
Regardless, if you want reliable participant profile information, it's important to build trust. Repeat several times that you are not looking to sell anything and that you will only contact them if you are running quality checks (when it comes to surveys) or to confirm their participation in a qual activity, i.e. focus group. I appreciate that revealing the name of the brand that we are conducting our research for prior to participation is impossible in certain circumstances as it will create bias but do cite it afterwards – after the research activity has been completed and before the personal details request. This sense of familiarity, especially where the brand has a big presence in the market, will encourage information sharing further. For all Spanish speaking populations, family is everything. If you talk to participants for 10 minutes, you will know all their entire family history, from members’ relationships to job to hobbies - they will even show you pictures. Be it online or face-to-face embrace this, encourage it. It will help you to create a bond with them, to make them feel comfortable and in return they will feedback with greater honesty. A word to the wise – If you are conducting face-to-face research with Spanish speaking populations do explain that the research is question is only relevant to certain people. Be respectful but firm. Otherwise Spanish speakers can show up with their entire family thinking they will receive more incentives! In Latin American countries and Mexico in particular, punctuality can be a problem. A research activity scheduled for 8:00am can easily be delayed until 8:30am due to late arrivals if it isn’t managed correctly. Time is relative to Mexicans and they do not measure it well. To keep a live schedule on track, be it online or face-to-face have a 10 minute tolerance window after the official start time after which no one is allowed to enter the activity. Express this clearly and repeat several times so that participants know you are being serious. Regarding participation reminders, send as many as you would send to Western market research participants… and then send a couple more! The culture in Latin America is so informal, residents may well want to be involved in activities but if they are not constantly reminded the will forget about them. 8. Incentives are Not an Option, They are a Must! It’s as simple as that. If you want Spanish speaking participants from any country or region, you need to have incentives and good ones. They should also offer a direct benefit to the participant – rightly or wrongly charitable donations are not terribly well received. The finer details of your incentive depend largely on the purchasing power of the market you are researching. As I mentioned in Tip 3, Latin America is home to a huge range of people, from the very poor to the very rich, so incentives can go from a basket of essential groceries to luxury casino days. Whatever you do, don’t offer direct cash rewards. They are considered offensive. However poor some Latinos are they remain proud. If you can ask contacts already familiar with the area what they usually offer. Certainly, I would only recommend online voucher cards (Amazon, Starbucks, etc.) when you are conducting research in the fully developed Spanish speaking countries - Spain and the USA. Culturally, Spanish speakers find it very hard to say ‘no’ even when they don’t want to do something. And that is why most of them will say ‘yes’ when you ask them to participate in an research activity, but no one will show up – virtually or otherwise! To avoid wasted time and resources, ensure you have double the number of participants confirmed with respect to the equivalent Western activity. If you don’t receive a response from an agreed participant in the reminder stage, don’t assume they will attend on the day. Rather recruit a replacement. Do remind all agreed and confirmed participants of the incentives being offered on multiple occasions. This way you are far more likely to achieve you target attendance. I am actually a native Mexican and I have had the same conversation with people from Venezuela, Chile, Spain, Mexico and Peru. We have all agreed one thing - People who speak another language and come to our countries very rarely make the effort to learn at least something of our culture or our language. Learning how to say ‘hi’, ‘thank you’ or even if a name belongs to a woman or a man means a lot to us and we respect that you are trying. Know the difference between Hispanics. Latinos. and Spaniards: Hispanic refers to a language and Latino (including Latina) refers to a location. A Hispanic is defined as one who has a Spanish speaking origin or ancestry. Latino refers to Spanish speakers as well, but only those native to Latin America. A Spaniard on the other hand is a native of Spain who may or may not speak Spanish. These are all leanings that can be gleaned within 10 minutes of Internet browsing and the reward will be tenfold. Spanish speakers in any country are far more likely to both help and respond to you if they feel you are making the effort. Overall the culture of all Spanish speaking populations is a breath of fresh air. Follow my tips, do your pre study research and you will love how welcoming the Spanish speaking people are, the detail in their responses and how much they appreciate all of the things they have. 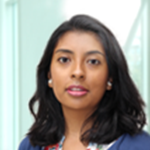 With substantial experience in both market research and the wider marketing industry, Mayra has developed exceptional client and project management skills. A natural Spanish and English speaker, she uses her multicultural understanding to break down cultural barriers efficiently in the name of research. You can follow Mayra on Twitter.